True Rocks is a collaboration between Emily Bradbury of vintage Victorian punk label “Constant and True” who has a strong reputation for creating innovative product ranges & collaborating with leading British artists including Gavin Turk, Polly Morgan, and Dawn Hindle, Founder and Creative Director of the globally renowned music and lifestyle brand “Ibiza Rocks” which includes the iconic boutique hotel “Ibiza Rocks House at Pikes” – seeped in rock ‘n’roll history, home to all the artists and DJ’. Emily and Dawn have created a unique jewellery brand that reflects their lifestyle and influences including music, fashion and art. 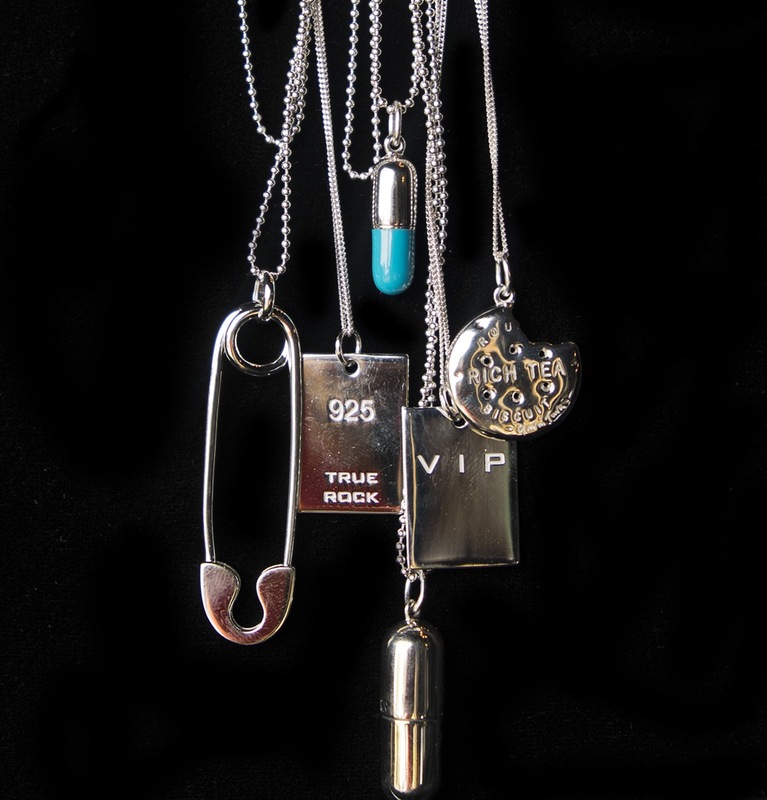 The collaboration for a new jewellery brand, True Rocks was established when Emily and Dawn met in Ibiza in last summer when Dawn was hosting a gig for The Specials. In developing their brand Emily and Dawn have created a distinctive style of their own. Setting a trend amongst the music and fashion industry, Idris Elba snapped up the first necklace before the Haim sisters and Lily Allen rocked their personal favourite pieces on stage during their Ibiza Rocks and Glastonbury gigs. This incredible collaboration between two genuinely passionate and creative forces will ensure that the bold and the beautiful are adorned in True Rocks signature style, all summer long.